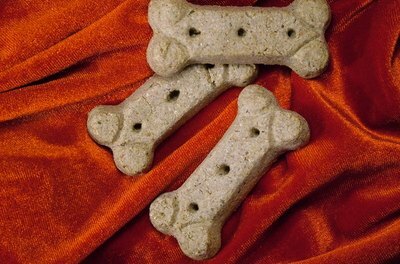 Use caution when giving treats to an undernourished dog. Plenty of food seems like a great way to give a skinny, undernourished dog a boost, but you have to approach it carefully. Letting him eat all he can hold isn’t usually the best plan, but you can build him back up with good food and proper nutrition. Determine whether the dog has any health problems that could be causing him to be undernourished. Dogs that end up in shelters are often thin and undernourished simply due to a lack of food, but various health problems can cause the same effect. If the vet finds that your dog has a lot of worms, an illness such as distemper or a disease such as cancer, he’ll make specific dietary recommendations along with treating him. Ask your vet if the dog might be seriously malnourished, which is an extreme form of being undernourished and is typically diagnosed when a dog has lost at least 10 percent of his normal body weight. If so, he’ll be very thin and all of his ribs and his hipbones will be very obvious. The vet will typically provide feeding instructions. If you can’t get to a vet right away and need to start feeding the dog, resist the temptation to feed more than just a small amount, since overfeeding will do more harm than good. Select a growth food for the dog. The American Society for the Prevention of Cruelty to Animals suggests that you feed an undernourished dog a top-quality puppy food -- regardless of his age -- to give him a nutritional boost. If he is very undernourished, he should have food that is low in carbohydrates and high in fat and contains an adequate amount of phosphate, magnesium and potassium, according to experts at U.C. Davis’ Koret Shelter Medicine Program. He may also need supplementation with parenteral thiamine, but check with your vet first. Figure out how much food your pet should get each day. Follow the feeding instructions on the dog food label. If he is seriously malnourished, you will need to start him out with one-quarter of his total recommended daily amount to avoid possible health consequences that can lead to seizures, organ failure and coma. If he is just undernourished, not starving, you can feed the dog the full recommended amount. Divide his daily allotment into multiple feedings, especially if you suspect he is seriously malnourished or if you think it's possible he hasn't eaten for at least five days, and feed him a small amount three to six times per day. Over the course of a week-and-a-half you can increase the amount at each feeding and decrease the number of feedings, until you are feeding him the full amount recommended by the dog food manufacturer each day. If he is undernourished, but not as much as 10 percent under his normal weight, or once you have built him up to where he can eat full-sized meals, he may benefit from free-feeding, whereby you leave his food out all the time and he can eat when he wants. 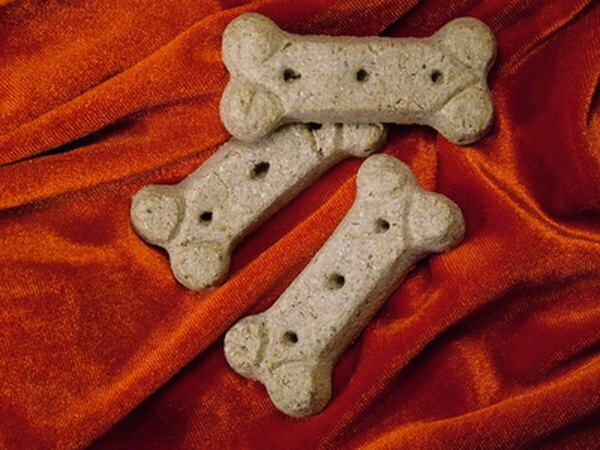 Your dog may benefit from treats, but giving him too many yummy snacks can keep him from getting the proper nutrition at mealtime. Chunks of cooked chicken or cooked liver make good snacks, but avoid treats with little or no nutritional value. Severely undernourished dogs may become victims of "refeeding syndrome," a metabolic condition that can lead to seizures, heart problems and coma. It’s best to consult with a vet before trying to feed a dog that’s extremely underweight or that’s been without food for a long time. Can a Food Change Kill a Parakeet?